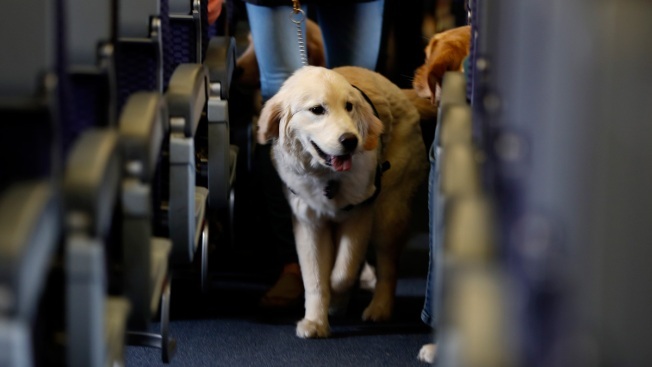 Delta Airlines has outlined some restrictions Friday for passengers traveling with support animals on board after a sharp rise of incidents during flights, CNBC reported. Delta Airlines will require passengers traveling with support animals to show proof of health, vaccinations and a document signed by a psychiatric service for support animals confirming an animal can behave on board, CNBC reported. The new requirements for support animal travel will go into effect March 1. CNBC reported, incidents such as passengers being bitten or animals soiling the cabin have gone up by 84 percent. Under the Air Carrier Access Act, support and service animals will still be allowed into the cabin free of charge.